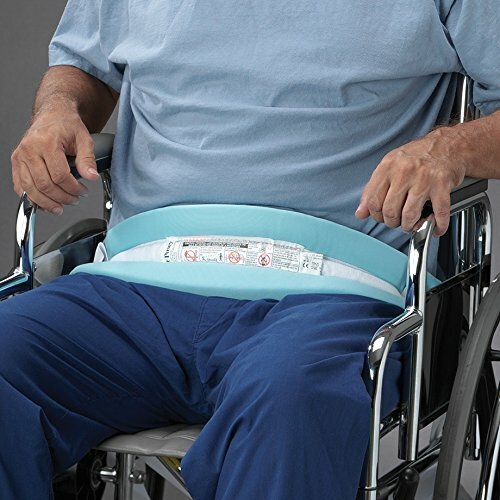 DSS Soft Belt Helps Prevent Forward Sliding in Wheelchairs Standard Size by DSS at H For Care. Hurry! Limited time offer. Offer valid only while supplies last. RECOMMENDED USE: Patients who are at risk for forward sliding or require assistance with ambulation. Helps prevent forward sliding in wheelchairs. RECOMMENDED USE: Patients who are at risk for forward sliding or require assistance with ambulation. Helps prevent forward sliding in wheelchairs. May be used in both a bed and a chair. Straps attach with quick-release ties or quick-release buckles. Tie straps available in standard and extra long sizes. For use as a fifth-point restraint (4125, 4125L). Soft foam pad.